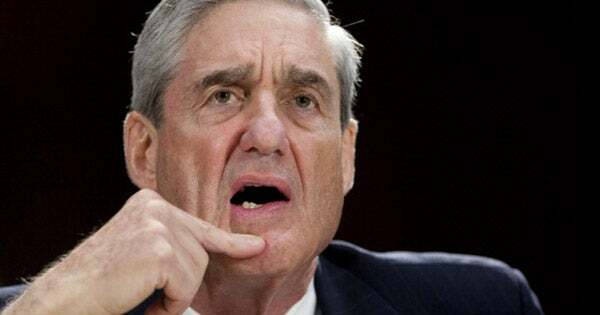 RUSH: I don’t want too much time to go by here before I mention the highly volatile subject of the Mueller investigation and its status. We’ve got some sound bites coming up. Trey Gowdy querying Rod Rosenstein, who is the deputy attorney general who hired Mueller. We’ve got some sound bites from Louie Gohmert from Texas peppering Rosenstein. 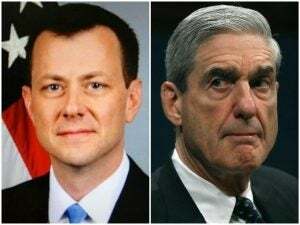 And we’ve also got more information on the text messages that were being sent between Peter Strzok and his mistress with whom he was having illicit affair. Her name is Lisa Page. So here’s Strzok saying, “I know you think there’s no way Trump can win, but I’m afraid we can’t risk it. We can’t leave it to chance.” This text exposes the fact that they may have been working to secure Trump’s defeat. Before getting back to the phones, I spoke of this, so I want to play it for you. Trey Gowdy is peppering, questioning the deputy attorney general, Rod Rosenstein, on the Mueller investigation. This is the House Oversight Government Reform Committee on the Department of Justice oversight here. And this is Gowdy speaking about Peter Strzok, who was removed from Mueller’s team for anti-Trump texts with his mistress, his extramarital mistress, girlfriend. GOWDY : This is what he said, Mr. Deputy Attorney General. He said: “The douchebags are about to come out.” He’s talking about our first lady and children. This conflict-of-interest-free special agent of the FBI, this is who we were told we needed to have an objective, impartial, fair, conflict-of-interest-free investigation. So he’s openly pulling for the candidate he had a role in clearing and he’s openly investigating a candidate that he has bias against. And then if that’s not enough, he says, “Trump is an F-ing idiot, what the F just happened to our country?” This is the same man that said he would save our country. What happens when people who are supposed to cure the conflict of interest have even greater conflicts of interesting than those they replace? RUSH: Well, I had heard that Goudy was on fire, and he was. And that’s a great question. Now, Rosenstein’s not gonna give anything up. Rosenstein’s over there, he’s going to protect the investigation, the DOJ and Mueller, and even Strzok. But this Strzok guy, folks, is a bad actor, and his mistress was working with Fusion GPS on this Trump dossier. So was this guy Ohr and his wife. I mean, this thing is so incestuous, it is clear, it is clear that what happened here was the Obama Department of Justice and the FBI were working together to promote the Hillary Clinton campaign and candidacy. There is no question this is what’s happening now, or what was happening. And we’ll have more detail on this as the program unfolds. But here’s Rosenstein’s reply to Trey Gowdy. ROSENSTEIN: Mr. Strzok was already working on the investigation when the special counsel was appointed. The appointment that I made was of Robert Mueller, so what I’d recommend that you tell your constituents is that Robert Mueller and Rod Rosenstein and Chris Wray are accountable, and that we will ensure that no bias is reflected in any of the actions taken by the Special Counsel or in any matter within the jurisdiction of the Department of Justice. When we have evidence of any inappropriate conduct, we’re going to take action on it. And I understand that, if you’re a thinking, engaged human being, it’s impossible to not have an opinion, and everybody who does cares about outcomes. But that’s the point. These people are supposed to be vetted and that stuff is not supposed to matter, but it does, it always does. 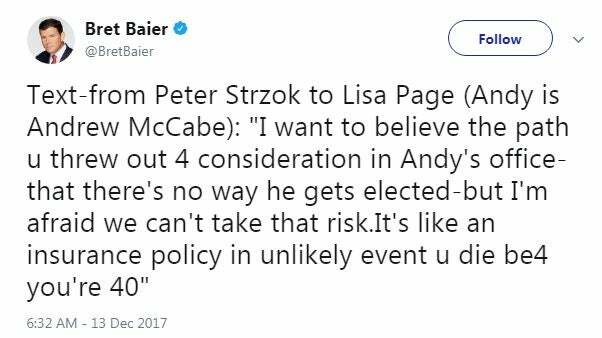 So while there were some people trying to say don’t get caught up in the bias here, it doesn’t mean their investigation’s necessarily tainted, Bret Baier found a tweet, again from Strzok to his babe, Lisa Page, quote, “I want to believe the path you threw out for consideration in Andy’s office — that there’s no way he gets elected –” What this means is they’re in McCabe’s office, all three of them, Strzok and Lisa Page and McCabe. They’re in McCabe’s office and they’re worried to death and they’re thinking that Trump’s gonna win this thing. What does this mean, I am afraid we can’t take that risk? It means we can’t just sit around and let whatever happens happen. We can’t take the risk. We’ve got to do something. And, boy, did they. Working with Fusion GPS, manufacturing the Trump dossier, even to the point perhaps — and I’ve got some bombshells here I’m gonna get to in a moment, just going back to old news stories where that Trump dossier was used to get a FISA warrant to investigate and surveil the Trump campaign. We have forgotten that that was reported way back in the first quarter of this year, as though it was a fait accompli and there’s no question about it. In fact, here is the next one in the Stack. Here’s one of them from our archives. This story is Politico from the month of December 2016. So this is during the transition, Trump has been elected. And this is a story where Trump said he didn’t need daily briefings. And I remember this because this, I think, is what helped to ignite the deep state against him. During an interview with Chris Wallace on Fox News Sunday, President-Elect Trump said he didn’t need to hear daily briefs because he’s, “like, I’m a smart person.” Trump said he doesn’t need to receive these briefings, suggesting in an interview that they’re repetitive, that he’s happy to rely on those around him on matters of intelligence and national security, meaning his inner circle. He doesn’t need the deep state walking in every day. Now, knowing what we know now, this reads differently. I want to read this paragraph again from the story. Remember, this is from almost a year ago, probably exactly a year ago. But I want to read it to you as it ran in The Politico knowing what we know now. And you tell me if this reads differently. One year ago! As part of the story where he didn’t want to get briefed because he had been brief, the briefers told him that the Russian government had launched cyberattacks during the election, during the campaign, intended to help him. And he told them he didn’t believe it, he doesn’t believe their assessment. Instead, he thinks that that was a politically motivated attack against him by Democrats. And he was right. And so look what’s happened ever since then, when Trump refused the daily briefs, shuts the deep state out, and then what they did, they told him about the Trump dossier, folks, is what they did. He was told about the Trump dossier and this myth that the Russians stole the election for him. And he told ’em, I don’t believe you. I disagree with your assessment. I think it’s a Democrat attack plan, and it’s not real intelligence. And look what’s happened since. I can imagine, I would have blown up if I were Trump and they had tried to tell me that. Here I am one month out of from the election, a smashing victory, and they’re telling me that the Russians engineered it. RUSH: Okay, now, there are starting to be media reactions to the text messages between Peter Strzok and his mistress, the message that Bret Baier found and tweeted out at 8:30 this morning. And again, here it is. Again, this is a text message from Peter Strzok who is or was a ranking member of the Mueller investigation. He was one of the anti-Trump, pro-Hillary lawyers — one of 16 on the Mueller investigation team — and he’s having an affair with a woman who’s also an FBI employee involved in all this smear job against Trump and earlier texts… Look, I’m restating this because it’s important for the context. So there were a lot of people cautioning the rest of us, “Don’t go crazy here,” and then Bret Baier found this one from Peter Strzok to Lisa Page: “I want to believe the path that you threw out for consideration in Andy’s office,” Andrew McCabe, “that there’s no way [Trump] gets elected — but I’m afraid we can’t take that risk. It’s like an insurance policy in the unlikely event you die before you’re 40.” Now, media people are beginning to react, and there is a story here at The Daily Wire. This is our old buddy Ben Shapiro’s site. Meaning: “We can’t just sit here and do nothing.” So that’s causing a lot of people now who earlier today didn’t want to see anything here to take notice. But, folks, I’m telling you: When you add what we know now to some of the stories from the past like I just shared with you the story that one year old about Trump refusing daily intelligence briefings… Let me read this paragraph to you again here. I’m telling you, you read this or you hear me read this to you now knowing what we know after a full year. Trump’s instinct was not to trust Obama’s top intelligence people. Trump sensed that something was wrong. He refused to play the game. This is the dossier, by the way. Part of that briefing was the Trump dossier. They walk in there; tell him about it. Comey’s part of this crowd too. And that’s what legitimized the dossier, by the way. By telling Trump about it, that means they can report on it. It’s news. So it turns out the Obama administration was spying on him after obtaining a FISA warrant, which may have relied on the golden showers dossier, paid for by Hillary. Can you believe that an opposition-research document was passed off as genuine intelligence and presented to the FISA court as genuine intelligence to get a warrant to spy on the Trump campaign? So here come the intelligence guys, and Trump tells them he didn’t want to meet with ’em every day, doesn’t need to, he’s a smart guy. And they tell him, “Well, you need to, because look at some of the stuff that’s out there,” and they tell him that the Russians were trying to affect the election and install him as the winner. And he immediately told them to pound sand; he didn’t believe it. It was more likely a Democrat attack. Well, one year ago, that’s what Trump said. Look at what’s happened since that year. Since Trump told these people to go pound sand, look at what’s happened. Since Trump rejected their attempts to be part of his day every day telling him what’s going on in the world — ever since Trump rejected that — look at what has happened. It’s brutal out there. And then there is… Let’s see. Da-da-da-da-da-da-da-da-da-da-da-da. 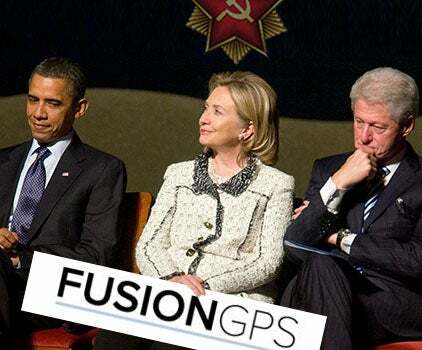 Chuck Ross at The Daily Caller has confirmed: “Fusion GPS Confirms Hiring DOJ Official’s Wife to Investigate Trump — The co-founder of Trump dossier firm Fusion GPS confirmed in court filings on Tuesday that he met last year with Justice Department official Bruce Ohr and hired Ohr’s wife to help with the opposition research firm’s investigation of Donald Trump.” This is the DOJ working with the Hillary campaign and Fusion GPS to help with the investigation of Trump using this phony dossier! A federal judge has recused herself from a second Fusion GPS case. And there’s one other story here from our archives that I need to find, and it’s as powerful as the one-year-old story about Trump refusing the daily intelligence briefings and instead saying, “You know, you guys, I don’t believe your story that the Russians tried to impact my election. I think that’s a Democrat attack.” Boy, was he ever right, and look at the hell that has descended on him since. RUSH: Here is the other archival story that I dug up, and this goes back to April the 18th. April the 18th. It’s a CNN story. The headline: “FBI Used Dossier Allegations to Bolster Trump-Russia Investigation.” Now, you’re gonna think, “Rush, we’ve always known that.” No, we didn’t. Well, actually we did. This story proves that we did. But the dossier, we’ve always thought everybody knew it was fake, that everybody knew it was made up and it was a joke and the media wanted to use it. It wasn’t until sometime this summer that people started putting two and two together and saying, “You know, this dossier may have formed the basis!” You know, I heard Brennan (the former CIA director for Obama) testify that this dossier formed the basis of the investigation. Clapper alluded to the same thing, the Director of National Intelligence for Obama, and I remember being stunned. I mean, the thing is obviously made up! And then we learned that Hillary’s campaign bought and paid for it. Basically commissioned it. This is the golden showers dossier. So I decided, let’s go back to the archives and let’s look at stories that were published about this. This is April so we’re gonna go back about eight months. 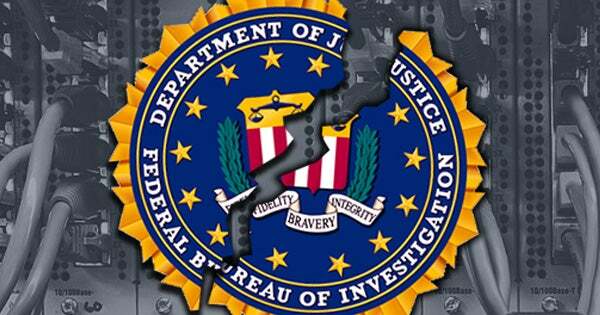 “The FBI…” Remember, April the 18th is the exact date here. “The FBI last year used a dossier of allegations of Russian ties to Donald Trump’s campaign as part of the justification to win approval to secretly monitor a Trump associate, according to U.S. officials briefed on the investigation. “The dossier has also been cited by FBI Director James Comey in some of his briefings to members of Congress in recent weeks, as one of the sources of information the bureau has used to bolster its investigation… This includes approval from the secret court [the FISA Court] that oversees the Foreign Intelligence Surveillance Act (FISA) to monitor the communications of Carter Page, two of the officials said. Last year, Page was identified by the Trump campaign as an adviser on national security. “Officials familiar with the process say even if the application to monitor Page included information from the dossier, it would only be after the FBI had corroborated the information through its own investigation. The officials would not say what or how much was corroborated. The dossier first came to light when CNN reported that a summary of it had been presented to President Obama and President-elect Trump back in December,” which we just told you about, and that’s when Trump told ’em to go pound sand. (impression) “I don’t believe it. You’re telling me this is part of a Russian attempt to get me elected?” Well, now we find out, going back, we had a report in April that the dossier was used to get a FISA warrant. It was rejected, by the way. And then in October they went back again to the FISA court, and that one was granted. But since April there have been all kinds of denials about the dossier and how it was used here and there and denials of surveillance of the Trump campaign. And yet go back to April, here’s a matter-of-fact story in CNN reporting that the phony golden showers dossier was used to obtain a FISA warrant. CNN. “FBI Used Dossier Allegations to Bolster Trump-Russia Investigation.” Folks, this is so bogus. In fact, when you boil all of this down, the thing that is starting to amaze me, Trump had the FBI, the Department of Justice, the Hillary Clinton campaign, and the Obama administration looking for dirt. We now know that all of these entities were working together, including the FBI and the DOJ were working with the Hillary campaign to undermine Trump via an investigation. And with all of this — and by, this is not insignificant. The FBI, the Department of Justice, the Clinton campaign, the Obama administration all looking for dirt on Trump and all they found was something they had to make up? They didn’t find any dirt? The only dirt they’ve got is dirt they made up? The only dirt they’ve got is dirt they created in forming a dossier? Let me as this way. How many people in the swamp Peter Strzok, Robert Mueller, his number two guy, Weissman, any of them. Take your pick of anybody in the swamp. How many of them could take this level of scrutiny by the FBI, by a presidential administration, by the American intelligence agencies and not have something legitimate found to take you down? How many of them? How many of them could get through one of these things with no dirt being found? Take any one of these people. Pick your name, pick a member of Congress, pick a member of the Senate. Pick a Supreme Court justice, I don’t care who you pick, pick anybody, pick the director of the FBI, pick a director of the CIA, and you do the same thing to them they’ve done to Trump. You get the FBI, you get the Department of Justice, you get the opposing presidential campaign, you get the best of the intelligence community looking for anything. How many of those swamp dwellers after that process would be clean? With Trump, in order get anything, they had to make it up, folks. And we have a full-fledged investigation designed to destroy Trump that has resulted from a phony document called a dossier. All of this. I am incredulous every time I state it, every time I think it, every time I realize it, how phony this is. All of this is based on a series of lies called a dossier. It’s called a dossier to make it look like it’s legitimate intelligence. We have now people being charged with lying to investigators, process crimes. None of this would be happening were it not for the Hillary Clinton campaign contracting with Fusion GPS and the Russians to write up a phony document about Trump. But it still is shocking to me that after all of this time, all of this money, all of these many man-hours, all of this, the investigations, the surveillance, and the best they’ve got is something they had to make up, a piece of fiction. And how many of them could withstand this very type of thing? As I say, pick your name. Comey, Rod Rosenstein, any of these people that are sitting in judgment of Donald Trump, ask them, ask yourself how many of them could come out whistle clean with this kind of power arrayed against you? None of them could, because there’s something on everybody. And there’s probably something on Trump, but it pales in comparison to what they’ve had to make up. They literally had to make it up. Trump apparently didn’t have enough dirt in his normally lived life for them to go after him. So they spend millions of dollars to have some English spy write 36 fictional pages. 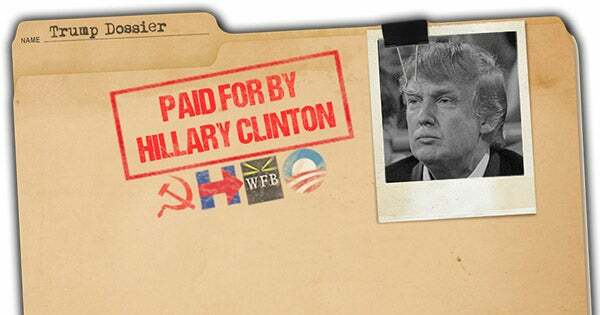 They call it a dossier. And it forms the basis of an investigation designed to impeach Donald Trump. It would be hilarious if it were not for the hell that they’re putting people through and continue to put us through.